Tourism has long-since been Florida’s economic mainstay, with the state – and it’s vacation-epicentre of Orlando – becoming synonymous with Micky Mouse, theme parks, year-round sunshine, beautiful beaches and family holidays. Yet, the Sunshine State is not resting on its laurels, not content just to be the world’s entertainment forerunner, a new money-maker is in town and it is set to shake the region’s tourist industry up. In an unparalleled move by Visit Florida, the state’s tourism body, a brand new $2.5 million grant programme has been announced to support the growth of the state’s medical tourism industry, setting Florida up as the go-to US destination for medical procedures, including cosmetic surgery. The new grant will be used to greater promote the medical tourism services on offer in Florida, as well as to encourage more medical professionals to make the state the location of choice for their industry meetings, conferences and training courses, in turn boosting the sector considerably in a move that is the first of its kind. This boost is set to see a dramatic effect on the local economy, bolstering the state’s finances directly through spending but also by expanding the need for housing stock, be it for those visiting or for the increasing number of workers being employed in the medical industry in the vicinity. Not only looking to attract domestic US medical tourists, the new approach for the Florida tourism industry is also aiming to attract worldwide visitors looking to marry their medical procedures with the confidence of being treated in the US and the relaxed atmosphere and warm climate of the ever-popular Sunshine State. 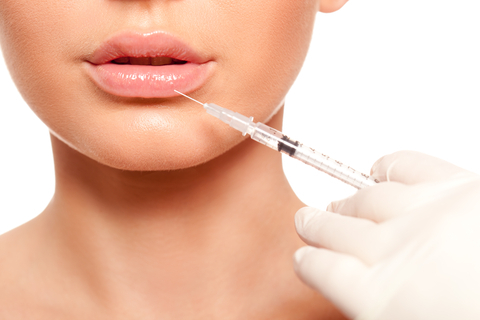 And cosmetic surgery in the US is increasingly big business. According to the American Society for Aesthetic Plastic Surgery (ASAPS), the number of such procedures grew by 6.5% from 2012 to 2013, with Transparency Market Research (TMR) revealing that the CAGR (compound annual growth rate) is due to increase by a staggering 17.9% from 2013 to 2019 globally. And Florida is already making inroads into this growth. The ground-breaking 650 acre Lake Nona Medical City, being developed in Orlando that is due to be completed in 2017, is not only on track to create 30,000 jobs but also to generate $7.6 billion wealth for the economy, an undeniable impact. The results of this are that not only are there increasingly ample opportunities for investment in the Florida property in market for renting to visiting medical tourists but also for savvy investors to buy into the domestic market set to boom as a result of the growing jobs in the sector. 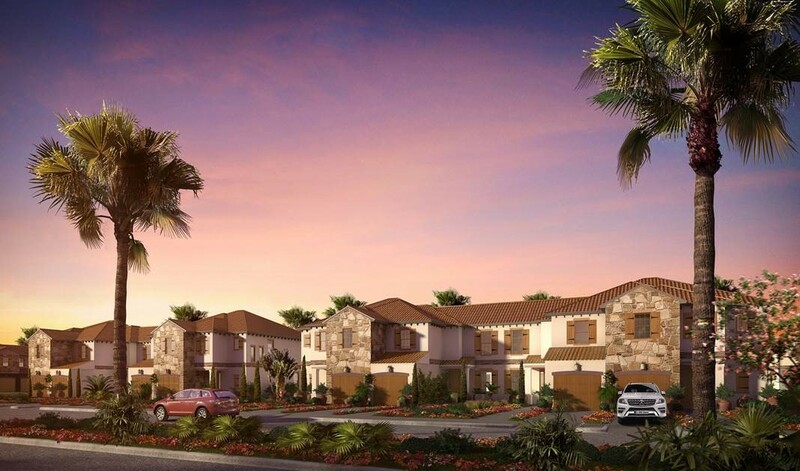 One such project that illustrates this growth opportunity is Brookes & Co’s Orlando project, The Club at Sunset Lake, whose successful first phase that sold out in record time can in part be attributed to the close proximity to Lake Nona Medical City. Seeing the launch of a highly anticipated phase two of the development, now is the opportune time for buyers to secure their part of this investment project that offers a 5-year rental guarantee with a 6% return after all costs. 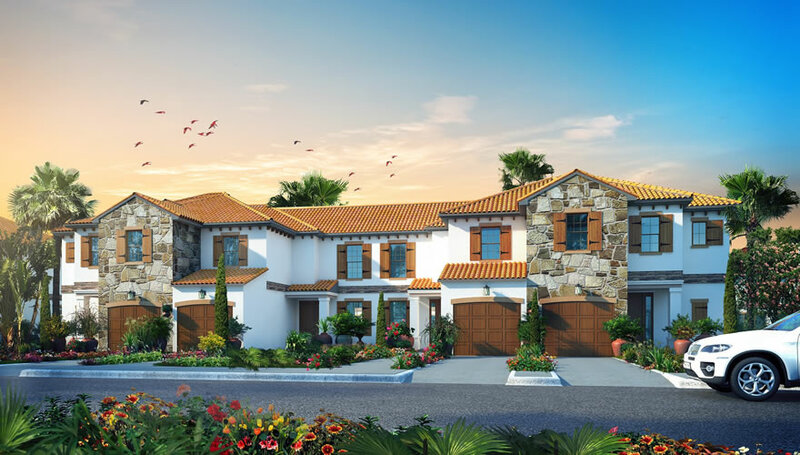 The Club at Sunset Lake has been designed to meet the needs of Florida residents who are seeking rental properties of a superior standard, whilst being close to all amenities and boasting facilities of the highest quality. The luxurious facilities, including an exclusive club house and swimming pool, fitness centre and spa, sports courts and cycle paths, as well as a lake-front park and picnic area, ensure that The Club at Sunset Lake makes the most of its beautiful setting. The spacious two, three or four bedroom properties are priced from £96,950, the larger also with garages. It’s that time of year when the novelty of cold mornings and rainy afternoons has worn off and families turn their attention to which country would be the best place for them to soak up some winter sun. 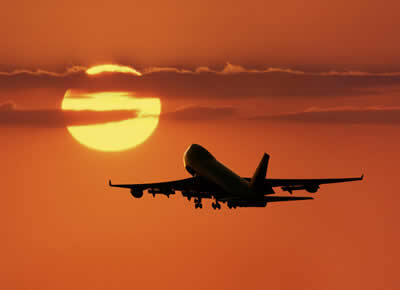 This year the number of those leaving the UK in search of winter sun between October and December is expected to rise, as many families delayed their summer holidays overseas due to Britain’s fantastic summer weather. The Post Office has provided some handy hints this year for travellers looking for good value from their breaks. Both Portugal (specifically the Algarve) and Spain (the Costa del Sol) have been recognised as providing excellent value for money in the Post Office’s Winter Sunshine Report. The barometer report examines eight tourist staples, including sun-cream, drinks and an evening meal, to judge which destinations offer the cheapest break. The Costa del Sol came in at just £44 for the list of items and the Algarve at £48. As the weather in Spain and Portugal can take a turn for the worse over the winter months, the report also highlighted the value of Tenerife, where the winter sunshine is a little more reliable. The island came in at £58 for the eight items. Italy is another popular choice for those seeking a winter sun break and if the over-priced cities are avoided it can offer excellent value. In fact, the UK travel organisation ABTA observed at its recent travel convention in Slovenia that Italian bookings were up this summer due to “some great-value hotel deals.” ABTA also highlighted Mallorca as a recent success story, with summer 2014 bookings up 68% on summer 2013. The island’s increased tourism figures are expected to carry through over the winter season. When it comes to long-haul winter sun destinations, Florida offers excellent value and families can enjoy Orlando’s theme parks without the extensive queues of the summer months. The Caribbean is another popular place for winter sun seekers, especially for couples looking for a relaxed, romantic escape. The luxury appeal of the island of Grenada is proving particularly attractive this year, thanks to its high-end spas and pristine beaches. For those looking for more than just a holiday, each of these destinations offers a wide variety of options when it comes to property investment. 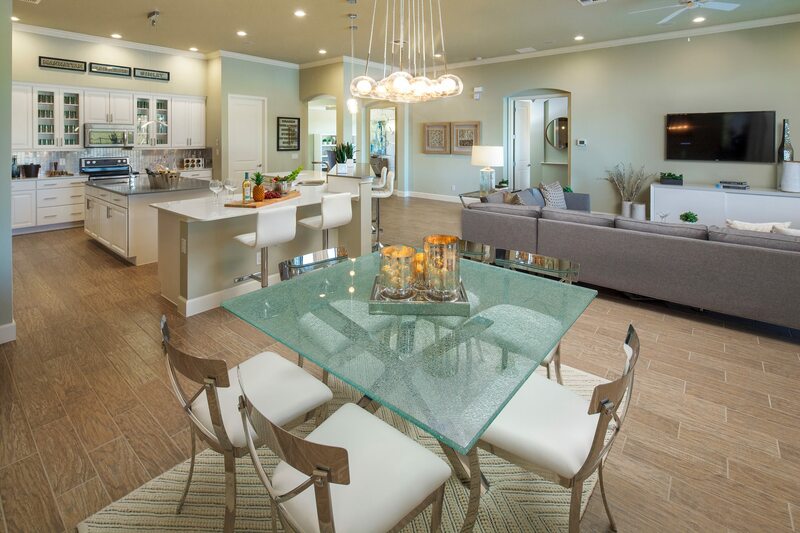 From second homes to pure investment properties, the choice is endless. Those looking to buy in Europe are able to enjoy the cheaper Euro at present, with Currency Index observing that the US Dollar’s recent gains have had a particularly beneficial effect on Euro rates, which are approaching their best levels since 2012. For those looking to profit from property in the top winter sun destinations, here’s a quick round up of the best opportunities on offer. Modern 2 and 3 bed apartments and penthouses in Avalon – Los Arqueros Golf, the best golf resort near Puerto Banus, are available from just €290,000 from Taylor Wimpey España. Large terraces, spectacular views, a communal pool and beautiful gardens make this the perfect family resort. Taylor Wimpey España is offering just 24 luxury two bedroom/two bathroom apartments from €242,000 at Cala Anguila II. From land plots costing €95,000 for those with imagination and time on their hands, to key-ready, ultra luxe apartments for €483,000, property portal Kyero.com has something to suit every buyer. Ideal Homes Portugal has properties ranging from Central Algarve studio apartments in Alvor, costing just €57,419, to a four bedroom villa in the prestigious Vale do Lobo golf community, available to anyone with a spare €11,000,000 to hand. This plot of land with delightful timber house, coming in at just €69,000, is particularly interesting. 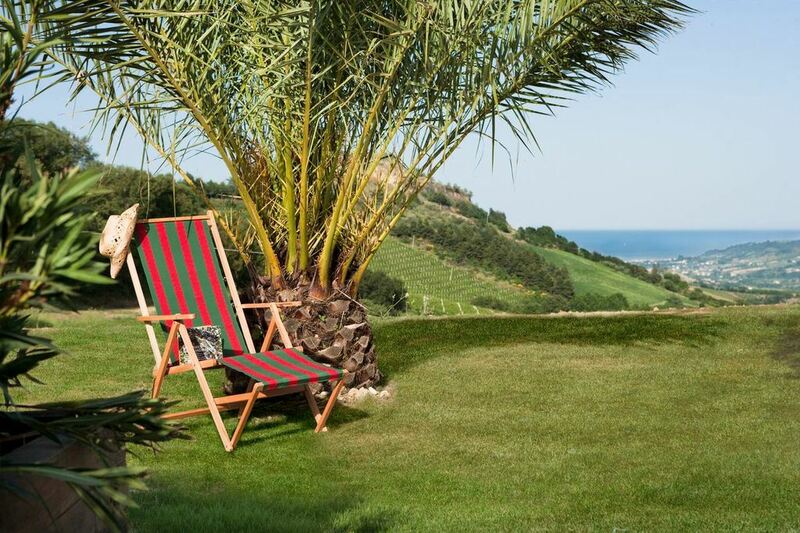 Italy’s stunning Le Marche region offers a good value alternative to the cities and has everything from beaches to mountains with excellent skiing facilities. A one tenth share in the luxury fractional ownership holiday home, Casa Tre Archi from Appassionata, costs from as little as £65,000. Beautiful two, three and four bedroom investment homes are available from Brookes & Co at The Club at Sunset Lake, from just £96,950. The fully managed properties are close to Orlando’s major attractions and perfect for those looking for a rental property that provides long-term income. High-end hotel suites for investment in Grenada are available from Property Frontiers and include four weeks’ personal usage, allowing investors to enjoy Grenada for themselves, as well as making money from average projected yields of 10.5%. Taylor Wimpey España: +44 8000 121 020 or www.taylorwimpeyspain.com. Those residing outside of the UK should call 0034 971 70 69 72. Ideal Homes Portugal: on +44 800 133 7644 or +351 289 513 434 or www.idealhomesportugal.com. Brookes & Co: +44 1621 875 925 or www.brookesandco.co.uk. With the introduction of the MMR (Mortgage Market Review) earlier this year and finance seemingly ever harder to obtain in the UK, many individuals are beginning to think creatively about how best to climb the property ladder. Despite fluctuations in the market, a wisely chosen property portfolio is a steady, long-term way for individuals to increase their investment income. Rental properties in popular holiday destinations around the world are a highly desirable element of any property portfolio, as they allow for receipt of monthly yields at the same time as providing the potential for capital growth. Now, with the UK system tightening up, many investors are looking overseas for just such opportunities in order to make their money work harder for them and the US is one market that is benefiting from this evolution. The banks’ new appeal to foreign investors is certainly working. According to the National Association of Realtors, foreign property investors spent approximately $35 billion on mortgages for US homes during the year to March 2014 – a 46% increase on the previous year’s figure. US banks typically ask for 30% or more as a down payment for foreigners taking out mortgages, while others have set deposit limits, such as HSBC Holdings Plc’s $15,000 minimum requirement. However, with a favourable exchange rate and increasing restrictions on mortgages in the UK, many are finding that it is both easier and more cost effective to take out a mortgage in the US. Launching on 1st November, the new US investment opportunity by Brookes & Co, The Club at Sunset Lake, times perfectly with this move providing the ideal opportunity for UK buyers looking to capitalise on the growing market. 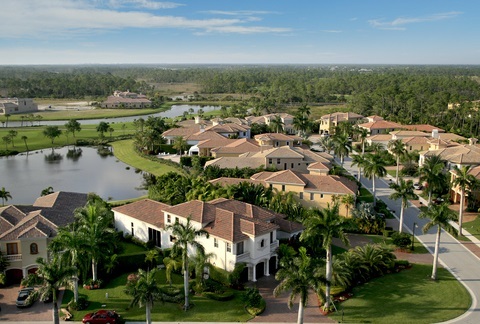 A brand new gated development in the heart of central Florida, The Club at Sunset Lake is situated close to all major amenities and boasts luxurious facilities including an exclusive clubhouse and swimming pool, fitness centre and spa, sports courts and cycle paths, and a lake front park and picnic area, making the most of the beautiful location in which it is situated. The two, three and four bedroom properties are spacious, exceptionally built and luxurious with the larger properties also boasting garages. All properties at The Club at Sunset Lake offer a 5-year rental guarantee with a 6% net return after all costs, making this a fantastic investment opportunity. Two bed properties are priced from £96,950, three bed properties from £118,700 and four bed properties are priced from £137,450, with both residential and buy-to-let US mortgages available. It was 2009 when Prince William famously ‘slept rough’ overnight in central London, bringing the cause of homelessness in the UK sharply into focus and raising vital awareness for the case of those who spend night after night on Britain’s streets. And sadly, the situation is still as desperate five years on. Today there are 2,414 people sleeping rough on the streets of the UK, according to government statistics from autumn 2013, up a shocking 37% on the 2010 figure of 1,768. As a response to this growing problem, on Friday 3rd October, thousands of people will show their support for the cause and take to the streets themselves, sleeping rough for the night and raising money as part of Action for Children’s national event, ‘Byte Night’. Having launched 16 years ago when 30 individuals from the IT industry slept out, raising £35,000, this year’s event, taking place all around the UK, is expected to see over 1,500 sleepers from the technology and business sectors take part across eight locations, making it the biggest event of its kind, raising over £1 million. Helping Action for Children’s Byte Night tackle the root causes of homelessness, keeping vulnerable young people off the streets and assisting them to build better lives, are this year’s participants Mike Bell and Chris Pardoe, taking part in the St Paul’s Square, Birmingham event. Managing Director of specialist IT company The Know List, Chris Pardoe, places social responsibility high on the list of his company’s objectives. He is proud to be supporting young people through a number of company initiatives, from the creation of a free school in Milton Keynes to provide meaningful work experience for young people, to the upcoming launch of a talent and acquisition division for the company, a recruitment service that will give 20% of its fees to Action for Children, the charity behind Byte Night, as well as an outsourced service that aims to find roles for underprivileged young people. Both men are being supported in their Byte Night participation by Essex-based property investment company, Brookes & Co, with Mike having previously purchased property through the company. Providing clients with opportunities to invest wisely in property developments, both in the UK and overseas, Brookes & Co are keen to uphold their ethos of giving back to local communities and have supported both Mike and Chris with sponsorship for this year’s charity sleep-out. “I think what Mike and Chris are doing to support the Byte Night cause is fantastic and we at Brookes & Co are proud to be able to support them in turn. It is truly shocking that in the modern age there are so many people living rough on Britain’s streets, whether it is through job loss, family breakdown, abuse, violence, neglect, or a whole host of other factors, it is something that needs to be addressed and vital support given to change what, all too often, becomes a downward spiral for many.